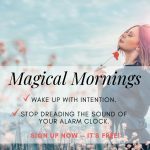 Do you wake up feeling stuck, and like life is against you? You’re not alone! 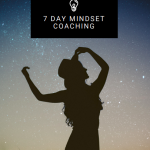 I was in your shoes once and would love to share with you how I went from being depressed and suicidal to happy, successful and fulfilled so you can too! Sign up here to get on the list for From Broken to Awoken: A 21-Day Guide to Personal Happiness, Success, and Fulfillment, an 11-chapter eBook that helps people just like you find personal happiness and success!